Clinic Synopsis: Having all the critical decision makers on the same page is one of the biggest challenges to creating excellence in the arts. This panel of distinguished band directors, fine arts directors and superintendents will engage in an informative discussion on aligning all three levels of advocacy in your Title I school district to create and extend resources. Once all three layers are aligned, everyone in your program will become strong advocates for your students success. Clinician Biographical Information Dr. Rodney E. Watson became Superintendent of the Spring Independent School District in July 2014. Spring ISD serves over 36,000 students in a diverse and growing community approximately 20 miles north of downtown Houston, Texas. Prior to accepting the leadership role at Spring ISD, Dr. Watson served as the Chief Human Resources Officer at the Houston Independent School District, the largest district in Texas and the seventh-largest in the nation, with more than 210,000 students and 30,000 employees supporting 276 area schools. Passionate about building great organizations and committed to supporting student growth and success, he brings to his work a unique combination of education and experience. Originally trained as a teacher and a counselor, his professional path has taken him from working as a college admissions recruiter, to managing interventions and transitional programs for at-risk youth as a deputy juvenile officer, to leading schools and school-reform efforts as a principal and chief school officer in Missouri and Texas. Throughout his career, he has continually leveraged his organizational, educational and policy insights to ever-broader effect. Dr. Watson received his bachelor’s degree in psychology and music education, his master’s degree in counseling psychology, and his Ph.D. from the University of Missouri–Kansas City in Urban Leadership & Policy Analysis and Curriculum & Instruction. His professional affiliations include work with The Education Trust, the Bill and Melinda Gates Foundation, the NAACP, the National Association of Black School Administrators, the Asia Society’s Global Cities Education Network, and the American Counseling Association. He has also served as an adjunct professor of education at the University of Missouri–Kansas City and the University of Texas–Austin. His dynamic approach combines the ability to assess current organizational needs with a clear vision for the future – one that aims to make schools better and communities stronger. Second Clinician Biographical Information Stacey Dunn was born August 28th 1960 in Rockford, Illinois. Upon graduation from North Boone High School in 1978, he entered Vandercook College of Music. While at Vandercook, Stacey studied teaching pedagogy and directing techniques under co-founder H. E. Nutt and studied tuba under Clyde Bashand and later studied under Arnold Jacobs, principle tuba of the Chicago Symphony Orchestra, and Rodger Rocco, renowned Chicago area brass teacher. While at Vandercook he met Mary Dolinar. Mary was a piano major from Chicago, Illinois. They were married December 18, 1983. In 1983 he was named to the position of Assistant Band Director in Oliveira Intermediate School and served as assistant director to Paul Flinchbaugh in Brownsville, Texas. In 1987, Oliveira was named the TMEA (Texas Music Educator’s Association) CCC Texas Honor Band and performed at the state convention. As head director at Perkins, his band was a TMEA honor band finalist in 1989 (7th) and 1991 (3rd). In 1991 Stacey move to the Assistant Band Director position at Pace High School in Brownsville ISD. As the low brass instructor, Stacey had multiple 5A All-State Band students. In 1993 the Dunns’ were blessed with the birth of their son David. After teaching at Pace for two years, Stacey was appointed to the Head Band Director position at Lopez High School. While at Lopez, Stacey’s bands were named to the TMEA 4A State Honor Band List three times, 1996 (2nd), 1998 (2nd), and 2000 (2nd). The Lopez Marching Band also advanced to the Texas State Marching Contest three times. In 2000 the Dunn’s moved up to Fort Worth, Texas, where Stacey took the position of Head Band Director at Southwest High School. At Southwest, Stacey’s bands were TMEA 4A State Honor Band Finalists four times in 2008 (3rd), 2010 (5th), 2012 (2nd), and 2014 (4th). Southwest advanced to the Texas State Marching Band Contest in 2009 and 2013. During his years teaching in public schools Stacey Dunn's bands accumulated 30 University Interscholastic League Sweepstakes awards. Stacey works individually with students every day and makes one-on-one lessons part of the culture of the Southwest band program. Before Stacey came to Southwest (1971-2000), the school had a total of 10 Texas All-State Band Members. During his time at the school (2001-present), Southwest has had 68 Texas All-State Band Members. Stacey Dunn continues to give clinics, workshops, and adjudicates contests throughout Texas. He has a deep commitment to his students and believes that the persistence, hard work, and determination learned through music equips them for success in whatever career they pursue. Third Clinician Biographical Information Joe Clark is in his seventeenth year in education and his third year as the Director of Performing and Visual Arts in the Spring Independent School District of Houston, Texas. Prior to entering administration, Mr. Clark served as a band director in both the Spring and Industrial school districts. Mr. Clark’s ensembles at both the middle school and high school level were recognized for their musical and educational accomplishment. His bands consistently received UIL “Sweepstakes” recognition and festival “Best in Class” awards. In 2010, his Spring High School Jazz Ensemble was a featured ensemble at the Midwest Clinic. 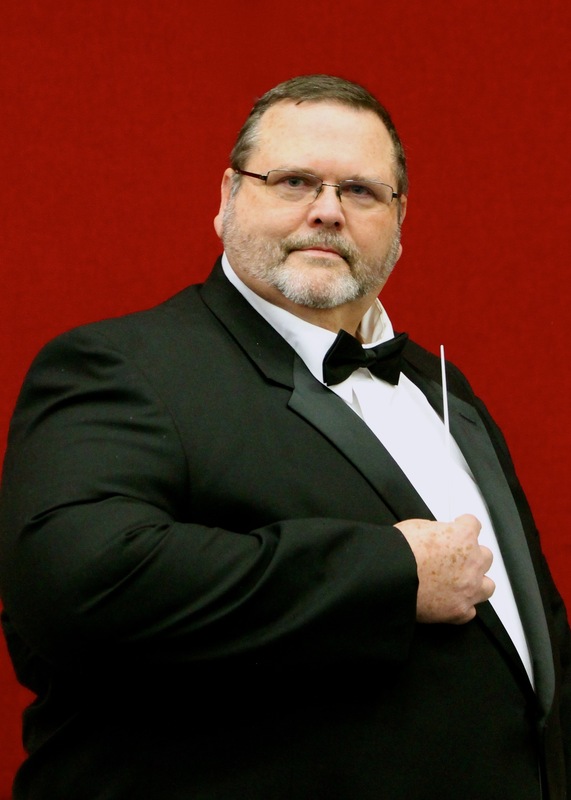 As a strong advocate of the fine arts, Mr. Clark remains an active clinician and adjudicator. He enjoys working with young teachers throughout Texas and is dedicated to serving as a mentor for the next generation. Mr. Clark’s administrative work is focused on realizing the Spring ISD’s goal of providing excellent arts education to all students. The Spring ISD is committed to engaging the arts to empower student achievement. Mr. Clark has earned his bachelor’s degree in music education and his master’s degree in conducting from Sam Houston State University. He has completed the principal certification program at Lamar University and is currently a doctoral candidate in K-12 professional leadership at the University of Houston. He and his wife Heather reside in Conroe, Texas with their daughter Darcy Anne Clark, who was born on May 17, 2015. Fourth Clinician Biographical Information Benny L. Gooden is the superintendent of schools in Fort Smith, Arkansas, a position he has held since 1986. 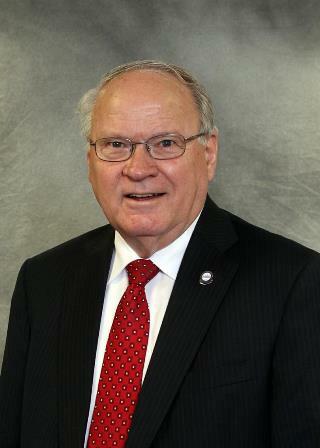 He has served in public education for 50 years as a teacher, building administrator, central office administrator and for 41 years as a school superintendent. Dr. Gooden is a graduate of the University of Missouri. Gooden served as President of the American Association of School Administrators Association (AASA) in 2012-2013. Gooden is a visiting clinical professor in educational leadership at the University of Arkansas. He was presented the Citation of Merit by the University of Missouri, College of Education Alumni Association in 2010. Gooden has continued to be active in the field of music and served as director of the AASA Singing Superintendents for more than 20 years. He was recognized by the Arkansas School Band and Orchestra Association with the Outstanding Administrator Award in 2014.